Brokerdealer.com blog update is courtesy of Bloomberg Businessweek’s Ben Steverman. For the past few years, only risk-taking brokerdealers have had the courage to invest their clients’ money into the Russian Market. Many brokerdealers have not been able to see what opportunity there was in Russia. Bloomberg’s Ben Steverman has been able to crack the code and found the opportunity. 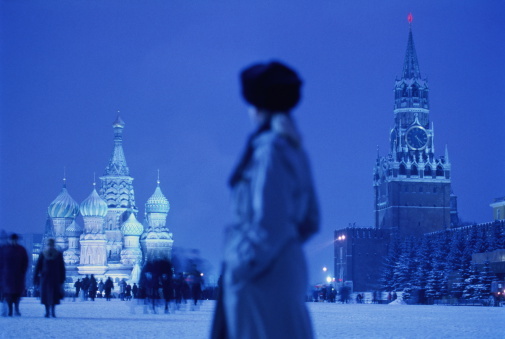 On paper, there’s no good reason to invest in Russia right now. The country’s dealing with a collapsed currency, plunging oil prices, recession, conflict in Ukraine, sanctions, and a government that’s hard to predict. The MSCI Russia Index lost almost half its value last year, and those losses could continue in 2015 and even into 2016. On Monday, as fighting in Ukraine intensified, the ruble dropped another 2.3 percent against the dollar, to its lowest level since Dec. 16. Investors are watching Russia’s inscrutable and unpredictable government for any signs that President Vladimir Putin might be ready to make nice with the West or reform the Russian economy. So far, no dice. But, historically the Russian government has been more “business-friendly and reform-minded” when oil prices are low, Bank of America strategist David Hauner said in a Jan. 12 research note. Oil under $50 a barrel could spur Putin to do something about Russia’s economy, famously unproductive and overly reliant on the energy industry. Sanctions are depriving Russia of the foreign technology and capital it desperately needs, to the tune of $100 billion in capital this year, BofA estimates. But, Research Affiliates notes, those sanctions are “relatively mild” compared with those imposed on Iran, Cuba, or North Korea. And Russia still has relatively low debt and high currency reserves, while it continues to provide much of Europe’s energy. “Logically, this crisis should pass,” Research Affiliates says. Finally, in exchange for the extreme risks involved with Russia, investors are getting some outstanding deals. The MSCI Russia Index’s price-earnings ratio is 4, compared with the Standard & Poor’s 500-stock index’s 18.1. Based on their valuation, Research Affiliates calculates Russian stocks could return 16.9 percent per year over the next 10 years, more than any other developed or emerging market. Then again, the firm also expects Russia to be the second-most volatile market in the world during that time span, after Turkey. Investors may need strong stomachs for quite a while: Without reforms, Bank of America estimates Russia won’t fully recover from this downturn until 2019. For the original article from Bloomberg Businessweek, click here.